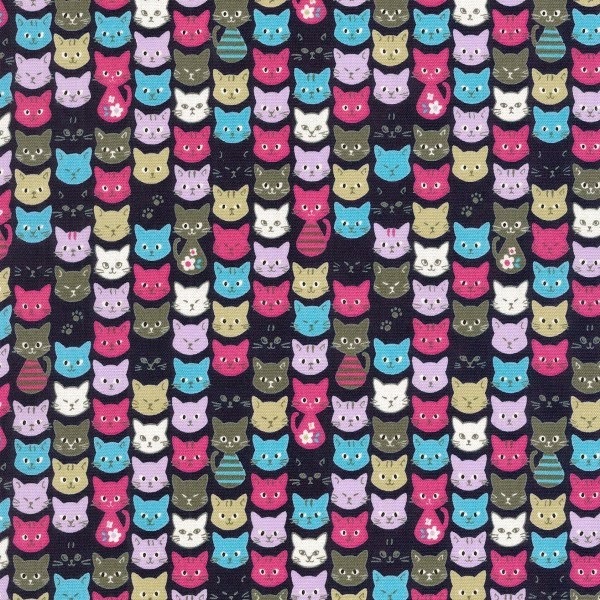 It's no secret that I love cats, and I know I'm not alone. With recent lines by Aneela Hoey, Lizzy House and Alyssa Thomas, cat fabrics are easy to find. That makes me happy. 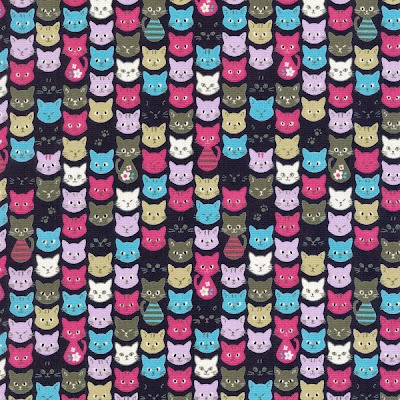 Emmmylizzy made a crazy cat lady bundle, which is full of awesome fabrics! I am also crazy for this Kokka print. 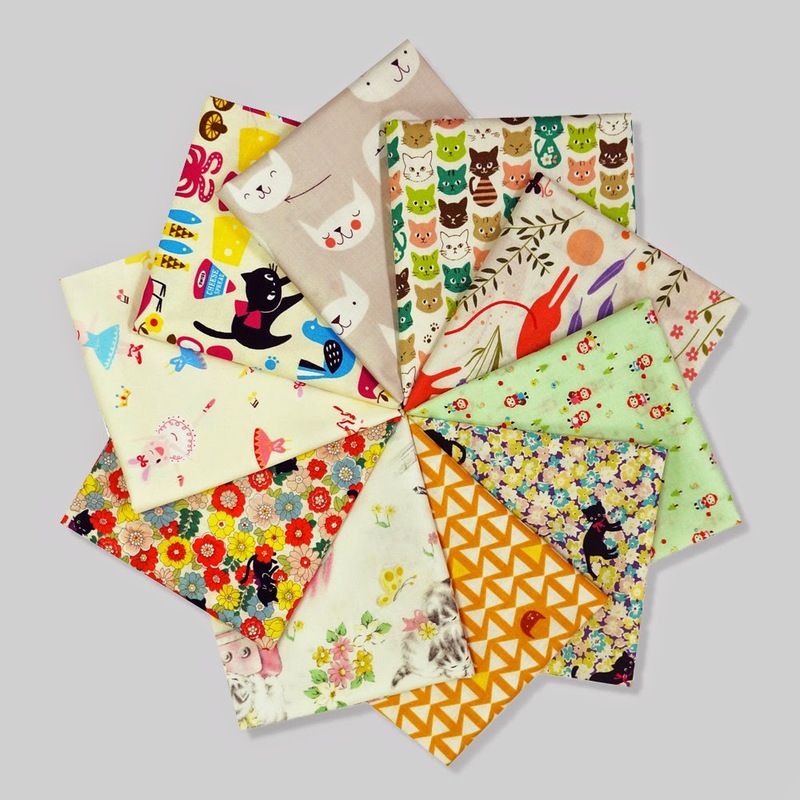 Hmm, maybe I need to make a second cat quilt!